The financial services marketplace has changed dramatically in the past few years, prompting many companies to review their marketing strategies. In this case study you will find out how iKnowtion helped this client, a large financial services company, assess the retail marketplace and determine how best to offer desirable value propositions to current and potential customers. 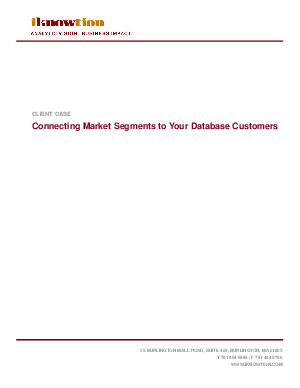 Download this case study to find out how we divvied up a multi-state population into smaller meaningful and actionable segments and how we linked those segments to the vast number of households on the customer database.